Fencing Solutions operate throughout the Kidderminster area and provide all types of fencing solutions for both Residential and Commercial Clients. We specialise in quality security and garden fencing solutions. You can now hire our versatile post hammer with operator by the hour or by the day. Our rates are competitive and we will help you to complete your job in double quick time! 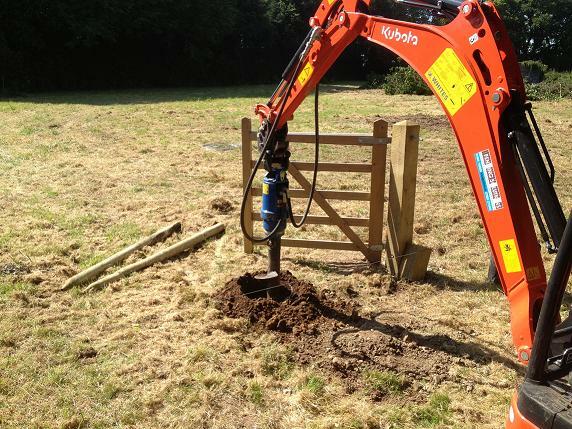 Our Post Rammer and Borer is a versatile piece of kit which can cut your fencing job and costs in half. Ideal for emergency fencing repairs or installation of robust Farm or perimeter fencing, our Exac 1 Post Rammer will get the job done with amazing speed and efficiency. To view the full video of the post hammer in action please see below. Video courtesy of Exac-One.